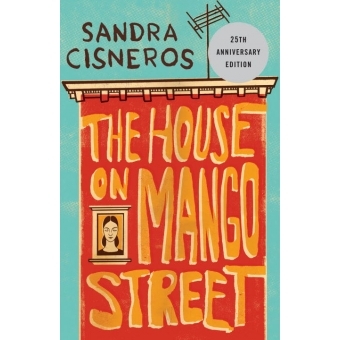 Here is Sandra Cisnero's greatly admired and best-selling novel of a young girl growing up in the Latino section of Chicago. Acclaimed by critics, beloved by children and their parents and grandparents, taught everywhere from inner-city grade schools to universities across the country, and translated all over the world, The House on Mango Street has entered the canon of coming-of-age classics even as it depicts a new American landscape. Sometimes heartbreaking, sometimes deeply joyous, The House on Mango Street tells the story of Esperanza Cordero, whose neighborhood is one of harsh realities and harsh beauty. Esperanza doesn't want to belong - not to her run-down neighborhood, and not to the low expectations the world has for her. Esperanza's story is that of a young girl coming into her power, and inventing for herself what she will become. The San Francisco Chronicle has called The House on Mango Street "marvelous... spare yet luminous. The subtle power of Cisnero's storytelling is evident. She communicates all the rapture and rage of growing up in a modern world." It is an extraordinary achievement that will live on for years to come.